The Incubation Greenhouse gives Thousands of Precious Sea Turtles the Gift of Life! Sea Turtle nests require a minimum of 26 degrees celcius for successful incubation. When temperatures drop below 26 half way through the incubation process the embryos development suffers greatly. The baby sea turtles are born with deformations, blindness and can even die. 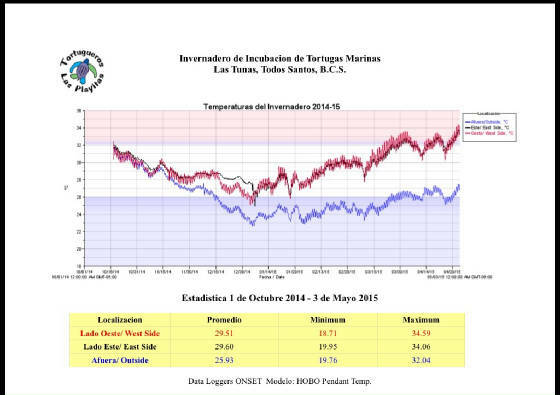 You can see from the graphs below, each year in November /December the temperature drops far below 26. 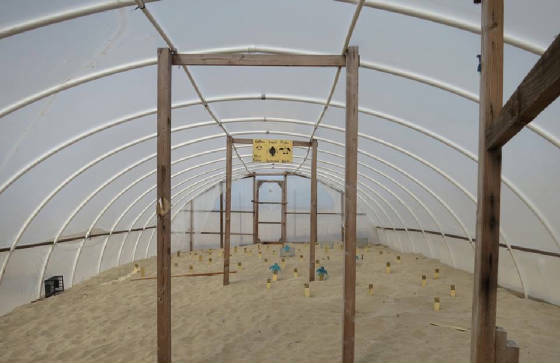 The Incubation Greenhouse raises the Sand Temperature allowing nests to incubate successfully and even balance gender ratios! Each year we incubate approximately 10,000 endangered eggs in the greenhouse.